Matushka Susan Jane Blomquist, wife of the late Priest Robert James Blomquist, peacefully fell asleep in the Lord on November 7, 2018. Born in 1943 to Edward and Elizabeth Jane La Fortune, she and her husband were married in 1966, after which the future Father James enrolled in Saint Vladimir’s Orthodox Theological Seminary, Yonkers, NY. After his ordination in 1971, the couple served parishes in Lublin, WI; Buffalo, NY; Detroit, MI; London, ON, Canada; and Winnipeg, MB, Canada. Matushka Susan was employed in a variety of fields, specifically in the insurance industry. She volunteered her time at church and at many other agencies, including Doors Open Winnipeg. She manifested the generosity of Christ towards humanity. She was most dedicated—even to the day before her repose—to seniors and shut-ins by visiting them and driving them to church and doctor appointments or to visit family in nursing homes. She provided flowers and food for parish feasts (especially those dedicated to the Mother of God) and for those who were hungry, all the while giving what little energy or funds she had. Matushka Susan was predeceased by her husband in 2002. She is survived by their three children, Stacy [Robbie], Christopher [Marie] and Michael [Shannon], and four grandchildren. 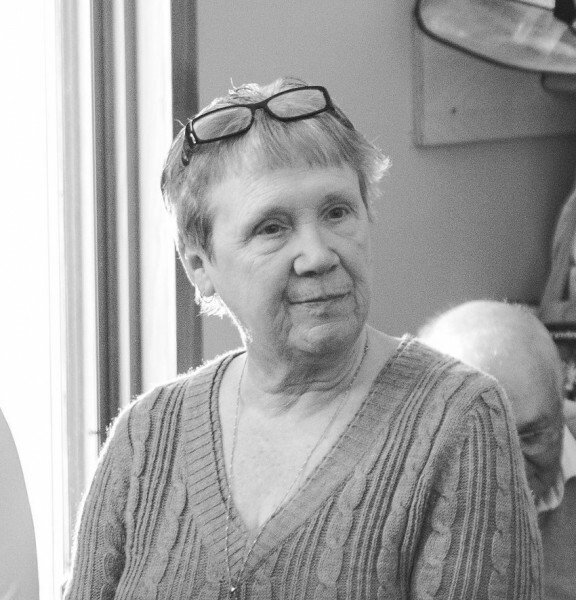 Visitation will be held on Thursday evening, November 15, at Saint Nicholas Church, 5635 Henderson Hwy., Narol, MB, with memorial prayers slated to be offered at 7:00 p.m. Funeral services will be celebrated at the church on Friday, November 16, at 10:00 a.m.
May Matushka Susan’s memory be eternal!